‘Meet ClaraBelle Blue’ is the first issue from the new exciting kids book series ‘ClaraBelle Blue’. 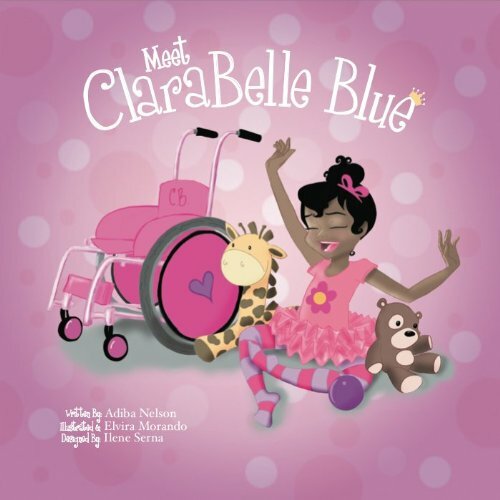 The story revolves around ClaraBelle, a happy confident preschooler in a cute pink wheelchair who takes on skeptics, overcomes challenges, and shows the other kids at school how much like them she really is. The author, Adiba Nelson has beautifully captured the spirit of diversity in this heartwarming piece. Adorably illustrated, the book delivers a strong message on the need for children to be educated of the fact that children with ‘special needs’ are just as normal as everyone one else. It's wonderful to see new voices coming out in the children's book arena. Reviews have been great. Check out the book on Amazon here. Posted on June 4, 2013 by Adamu Waziri and filed under Books, Children's Books, Fun Stuff.